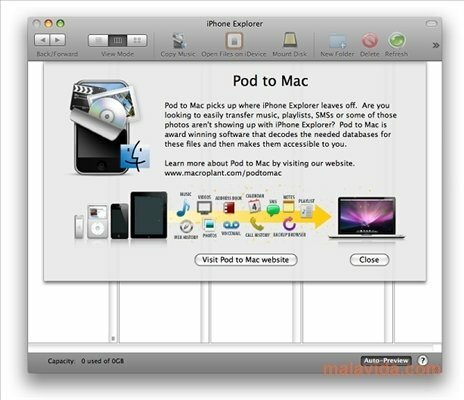 Accessing your iPhone, iPad and iPod files is now much easier thanks to the innovative iPhone Explorer, a free application that will allow you to browse through the folders stored on the successful mobile device by Apple, directly from your Mac. 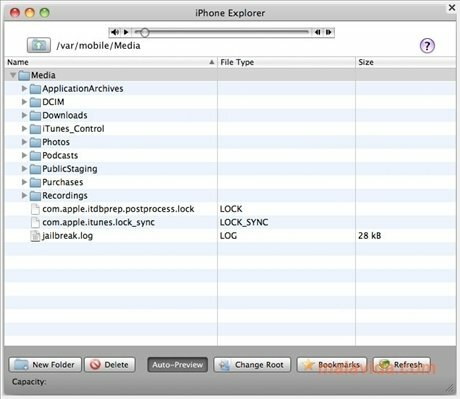 iPhone Explorer stands out due to its simple interface, that uses the comfortable "Drag & Drop" system, allowing you to move the files by just selecting them with the mouse button and dropping them wherever you want. What's more, this light application has the advantage of being able to use the iPhone as if it were a USB device. Thus, you'll be able to access all your iPhone's contents without having to apply the jailbreak process. The only thing that you have to keep in mind while using this application, is not to touch the iPhone's system files. To make sure that we don't do this, there is the possibility to activate an option that hides the system files. 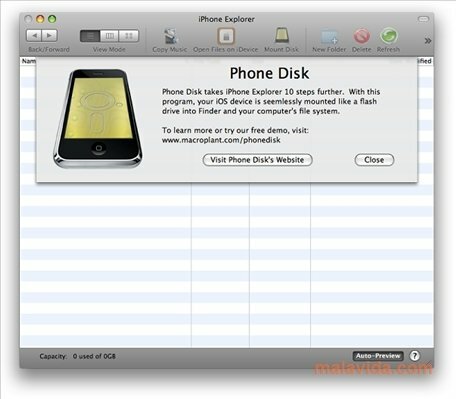 Download iPhone Explorer, and enjoy direct access to the contents of your iPhone! Runs on Mac OS X 10.5, 10.6 or above. Requires that you have iTunes 10 or above installed to work properly. The trial version has certain limitations.